It’s a new year and you have a fresh start to take things to the next level with your business. But, have you given much thought to how you plan to accomplish that? What goals or plans have you put in place that helps with branding your business? Take a look at this list of tips and add them to your plans. FREE TRAINING: Unlock Our VISION Strategy to Kick-Start 2017… and Guarantee Your Most Profitable Year to Date. 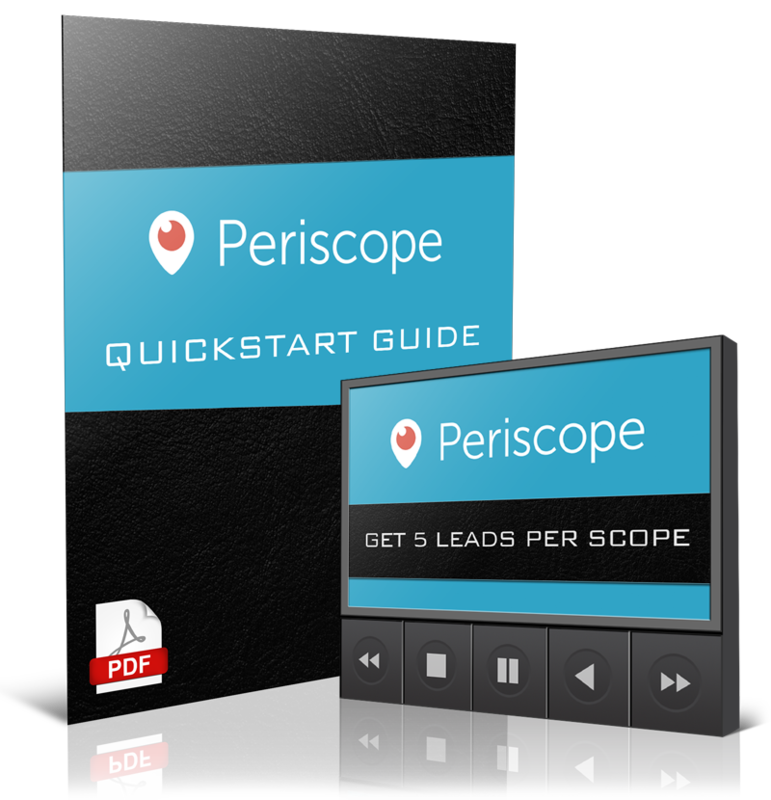 More Leads, Sales, Profits, Customers, and Clients! Brand building should be a part of your top 5 action items for growing your business. It’s crucial to your business because it’s the way your customer/the consumer identifies with you and your business. Take advantage of trends – stay on top of what’s trending in social media. Whenever an existing app comes out with a new feature, test it. Put yourself out there and use it. This brings attention to you and your business. Stay in touch with the latest trends to stay relevant in this business. Sell yourself – never forget that YOU are the brand. Your business cannot survive without you. Be transparent in your posts. Allow your post to be infused with your personality. Let your friends/followers into your world (without fully disclosing your business). When you give them a sneak peek into your life, it makes you much more relatable. Consistency – whatever marketing strategy you choose to use, make sure you are consistent with your methods. You may view as being redundant but your viewer sees it as your hustle. Don’t give you, keep putting value out in front of your audience and they will come. Document instead of creating – document your successes and your failures and SHARE THEM! Don’t be ashamed to show your failures. Sharing them shows that you’re human and that you’re trying. You’re showing your audience your tenacity to succeed and that FAILURE IS NOT AN OPTION. 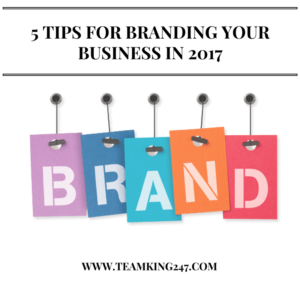 It is our hope that these 5 tips will help you jumpstart your New Year in building a brand strategy for your business. Your brand is the lifeline of your business. Start building it and you the rest (your success) will follow. We hope you found today’s post on 5 tips for branding your business helpful. If you found today’s post to be of value to you, then we would love for you to leave a comment below. Also, if you believe this information would be a blessing to someone else, then feel free to share it with others. Let’s face it…we all want it bad enough, right? We want the freedom, the money, the luxury to live life on our own terms. BUT, the question is “how bad do we want it”? To test your tenacity, here’s 5 things we all should be consistently doing to build your own businesses. Content creation – this is essential to building your own business. Why? Because it establishes you as an authority figure and lets your audience know, “Hey, I think they know what they’re talking about”. Your content creation can range from: a blog post, article, podcast, video, even your social media post. Additionally, you want to make sure your content addresses these 4 areas: the problem, agitate the problem, offer a solution, and gives a call to action. If you accomplish these 4 things within your content, then you’ll have them eating out of the palm of your hand (figuratively, not literally). 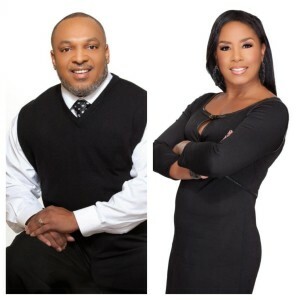 Expose people to your business and/or products – how will people know about your business or better yet, how do you intend to grow your business if you’re not exposing people to it. One of our team members said this “A close mouth doesn’t get fed”. That’s powerful and it’s true. Along with building an online business, you also have to talk to your cold and warm markets. Let them know what you do and if it’s not for them, ask for referrals. Grow your audience daily – If the content you’re putting out brings value to your audience, then it should automatically begin to build you’re following and/or your email list. You should also be engaging with your followers and adding more on a daily basis. This, too, is another way to build your brand. Personal development – make the investment and develop yourself both personally and professionally. Every professional does this, we are no exception. Nor should believe that we have it all cranked up. If it’s nothing more than speaking/listening to positive affirmations, do something that will put you in a positive frame of mind and build/strengthen your confidence to continue moving forward. To get where we want to be is not going to be easy, but the reward will be oh so worth it. Attend all training calls and live events – Networking is key. Get to know those that are in business with you. Swap stories about what’s working for you. There’s nothing to be secretive about, there’s plenty of leads out here for all of us. Get the notion out of your head that you are the only one that can capture a lead’s attention. The training calls and live events are meant to educate you on new product launches, acknowledge those that have made great strides over the past year and rejuvenate you to keep going. Make the sacrifice to attend them. Your business’s bottom line will thank you for it. If you intend to see any sort of progression in your business, then you have to make the commitment to grow your business fast. Consistence is the key to making all 5 things, listed above, happen. If we stick to this flow, we’re bound to see results. 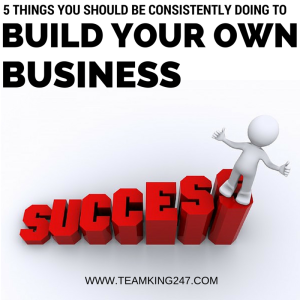 We hope today’s post has shed some light on how to build your own business and the importance of being consistent with it. If you found today’s post to be of value to you, then we would love for you to leave a comment below. Also, if you believe this information would be a blessing to someone else, then feel free to share it with others.